We have found other gems among the new games in Google Play for you. These include the popular MMORPG MapleStory M.
MapleStory - mass MMORPG with a side view. The popular MMORPG MapleStory for PC now also has a mobile version: MapleStory M. Recently, it launched a global beta test for Android users. The game will be available for download on January 30th everywhere except Korea, China and Japan. 15 years ago, the South Korean game Maplestory became the first major free-to-play game. Back then, it was to combat piracy by offering a cheap, legitimate, bug-free and safe way for the masses to access the game. The image has evolved over the years. If you are not familiar with the title, then it offers an abundance of opportunities for changing the appearance, a beautiful story and epic, despite its rustic appearance, raids on the bosses. Now this is all in compact mode. Participants in the beta test will be able to access the Maple World map with five unique characters, the ability to team up with other players to explore dangerous dungeons and look at various customization tools, including the new crafting system. The game is still in a test phase but can already be played (in English) but with a side note: after the test phase your progress in the game will be removed to become. Nevertheless, you can already play without having to make in-game payments. In the game you stay in the Maple World to beat monsters and become stronger, chat and act. It is worth noting that after the launch in Korea MapleStory M very quickly became one of the most popular MMOs on Android and iOS, having received more than 2 million downloads in the first two weeks. 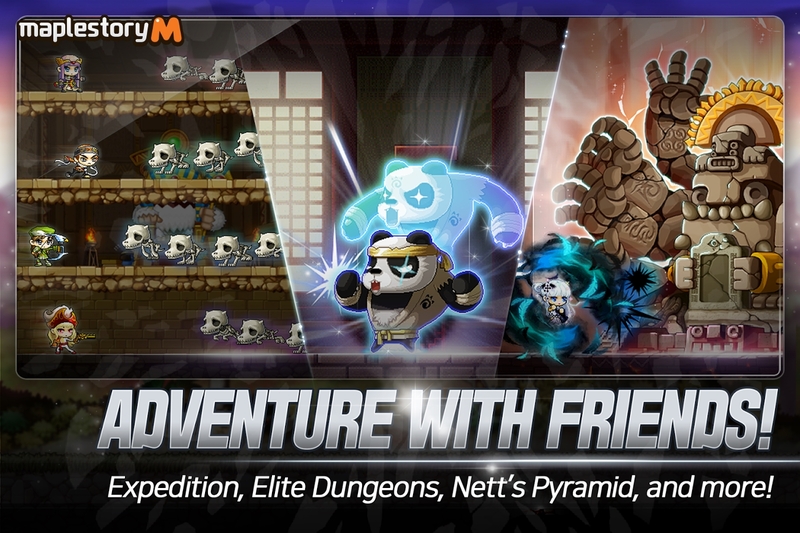 MapleStory M is free and can temporarily be downloaded via the click here.